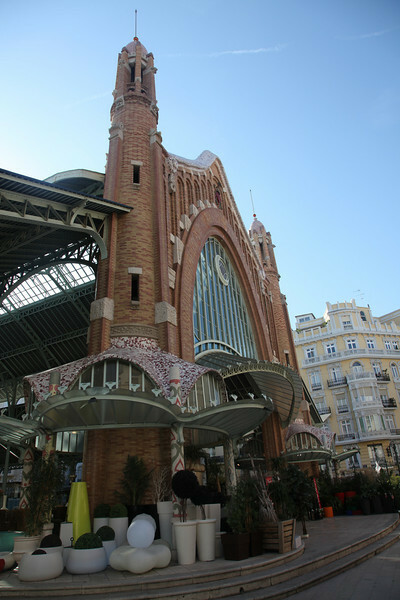 Mercado de Colon is another market shown off by Valencia. A gorgeous elaborate structure, spacious modernity, sort of simplified a-la-Valencia Gaudi, with a nave shooting into the sky and the colourful decorations depicting Valencian country life with Valencian ceramics. The architecture is so interesting it is suprising that the market was built in 1914, it is quite avant-guarde for those time.